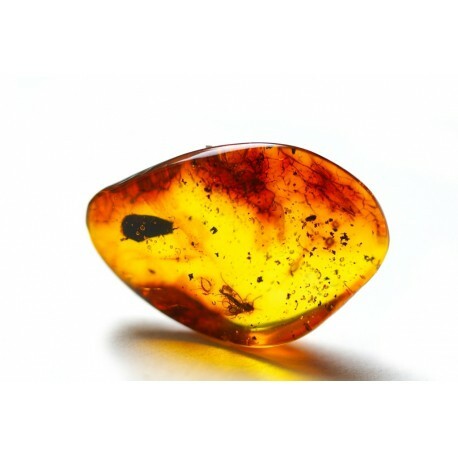 The transparent yellow amber piece with an inclusion. A piece of the Baltic amber with an inclusion. Inclusions are fossils that have stagnated in resin millions of years ago and the value of the large amber pieces, that has become "storages", is determined by both importance for science and aesthetic qualities. Amber inclusions - the most popular and clear object of the palaeontological research not so much for the special preserving way as for the fact they are remarkably well preserved.